In 1857, the Home occupied its first premises at Rosslyn House, Rosslyn Park, Hampstead, which were placed under the superintendence of a soldier's widow. Three cows were kept at the establishment, to assist in the training of the girls in dairy work. The girls did all the household work themselves, made and mended their own clothes, assisted in the kitchen, nursery and sick room, and carried out all the washing, ironing, and mangling required by the household. Following extensive fund-raising, the charity acquired Vane House at 65 Rosslyn Hill, Hampstead, for the construction of permanent premises. The new building, which incorporated was formally opened on 18th June, 1858, by Prince Albert. Tickets for the event cost 10s. for entry to the grounds and ceremony, and 20s. for a reserved seat at the ceremony and breakfast. The building, designed in the Early English style by William Mant, could accommodate 200 girls. 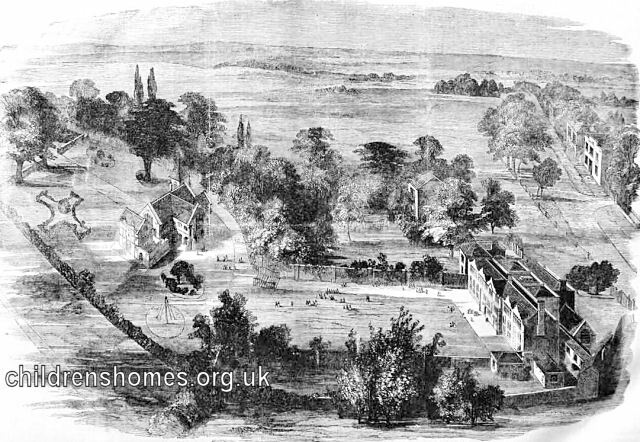 Royal Soldiers' Daughters' Home site, Hampstead, c.1896. The separate school block was later linked to the main building by a covered walkway. As typically the case with such establishments, admission to the Home was normally by a periodic ballot of the charity's donors and subscribers. In 1856, a gift of five guineas constituted a Life Governor, entitling the donor to two votes on each election. A donation of two-and-a-half guineas entitled the donor to one vote for life. An annual subscription of one guinea conferred a right to four votes at each election. Regiments making donations had votes for 21 years. Girls could also be admitted by making a one-off payment which varied according to age. In 1890, this ranged from £190 for a child under three, to £53 for one of 12 and under 13. The sums were less for purchase by regiments. Boarders were taken for a payment of £19 per annum. Candidates maintained by the charity had to be nominated by a subscriber and to provide evidence of the father's service, parents' marriage, of age, and medical certificate. Age of admission was from 6 to 11 years, remaining until the age 16. A guarantee of removal was required from anyone placing a child. From 1924, the Home was maintained by the London County Council. This arrangement ended in 1945 when the charity decided to run the establishment as an independent all-age boarding school. Later on, the girls went out to local maintained schools, with the Home providing extra curricular activities such as dancing, drama and horse-riding. In the late 1960s, a modern five-storey building was erected in the grounds. 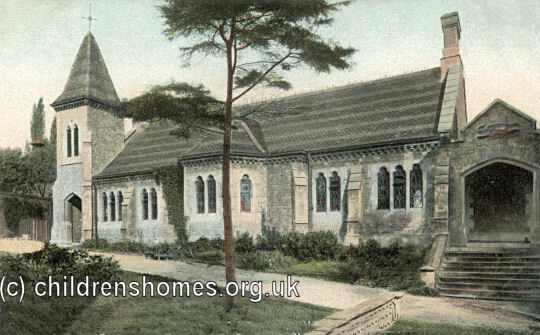 The original buildings were then demolished and modern housing erected on the site. 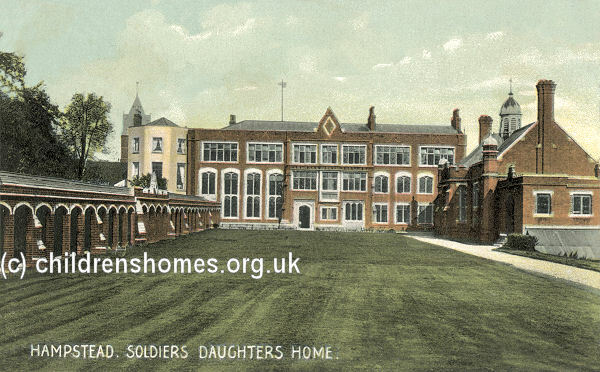 In 1987, the Home was renamed the Royal School, Hampstead, with girls being admitted from all three armed services, together with civilian pupils from the local area. In 2011, the charity's trustees decided to close the School and rent the property out for use by an independent educational provider, with the income being used to make grants to assist in funding the education of dependents of servicemen and women. In 2012 North Bridge House Senior School took over the Royal School site.